We run group yoga classes on Sydney’s Northern Beaches (Warriewood) as well as live online classes. We can also work with you to set up your own group classes. Yoga means “Union” and refers to our natural and harmonious state of being and way of living when we hold our inward connection with ourselves and a solid quality of conscious presence (mind and body together) in all that we do, say and think. 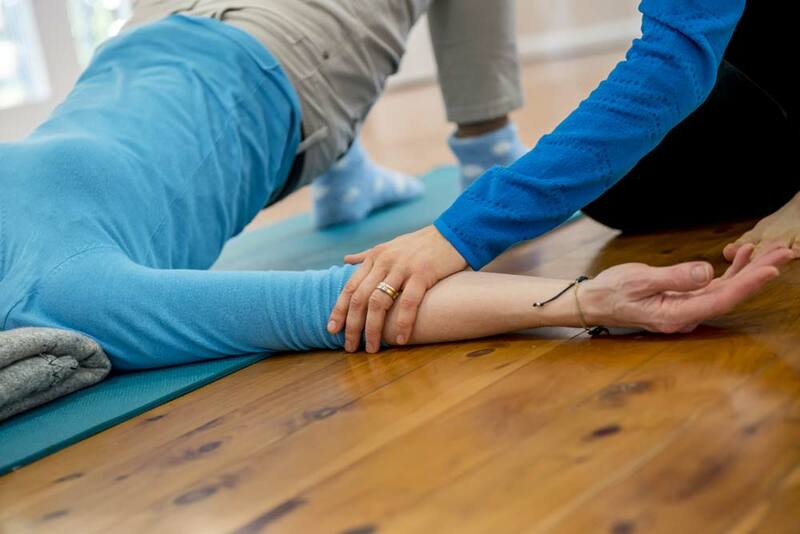 The practice we offer is about re-connecting with ourselves and enjoying a gentle general physical workout in a way that truly supports and cares for our whole body. Our yoga classes offer an opportunity to deepen the quality of our presence and gentleness in all that we do, say and think. In the first 5-10 minutes of the session, we practice body awareness, relaxation, gentle breath and/or other meditation techniques in a comfortable lying down position (physical stillness) so we can feel where we are at, allowing a gradual re-connection with ourselves and the natural gentleness of our breath and body. This forms the foundation of the practice, offering an opportunity for the body to deeply let go, relax and rejuvenate, whilst building a platform (quality of being) from which to move. Feeling you as you move and exercise is a safe and effective way to build strength and fitness, whilst also deepening conscious presence in your way of being. The practice supports your body to do every day activities without straining or hardening, and rather in gentleness and its natural quality of stillness. It is also a joyful and playful experience of sensing and exploring your body. All are welcome. You do not need to be fit, flexible or even well to attend. If you have a medical condition, please enquiry or get clearance from your medical practitioner prior to enrolment. If you have a group of interested people and would like us to develop a regular yoga class for you, Contact us. We can support you in this process and come to you where possible. Mats and blankets can be supplied. Prices depend on distance/time to travel, class duration and number of participants.